Along with popsicles, swimming pools and spending more time outdoors, one of the best things about Summer has to be the dresses. After all, what’s easier than one pretty piece, to throw on and go at a moment’s notice? And nothing will keep you cooler in a heatwave (or looking great on a sultry night) than a dress. 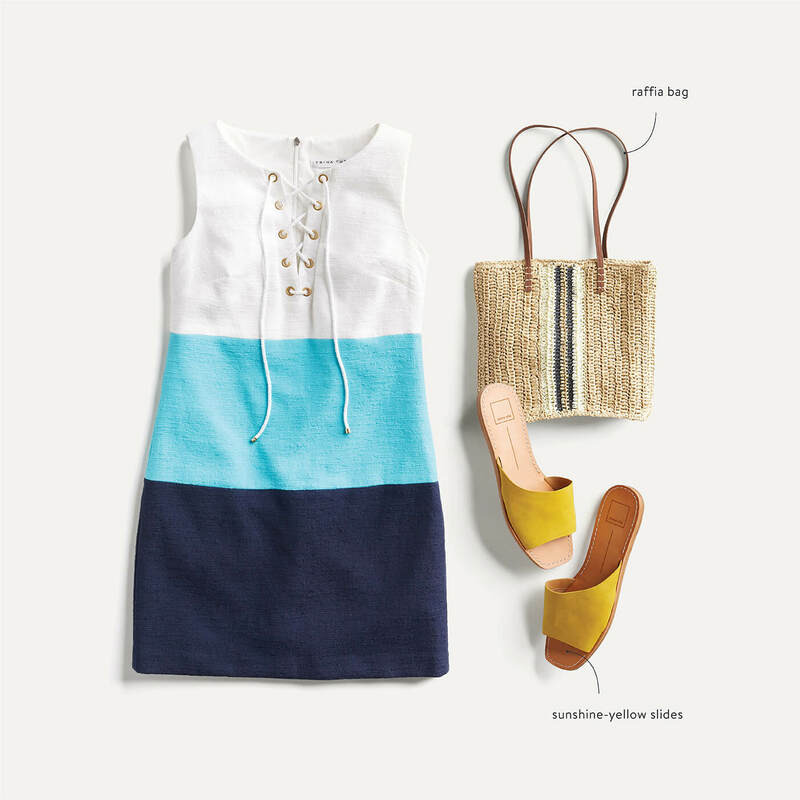 Read on for our favorite dress styles and ways to wear them. Keep scrolling to see how to wear our favorite summer dresses! With its fitted bodice and flared skirt, the fit and flare style looks good on lots of figure types and has versatility for days. When a fit and flare is as feminine as this pale rose one, we love it styled with ladylike accessories like strappy neutral sandals and an elegant clutch. Pretty in pink, that’s you. 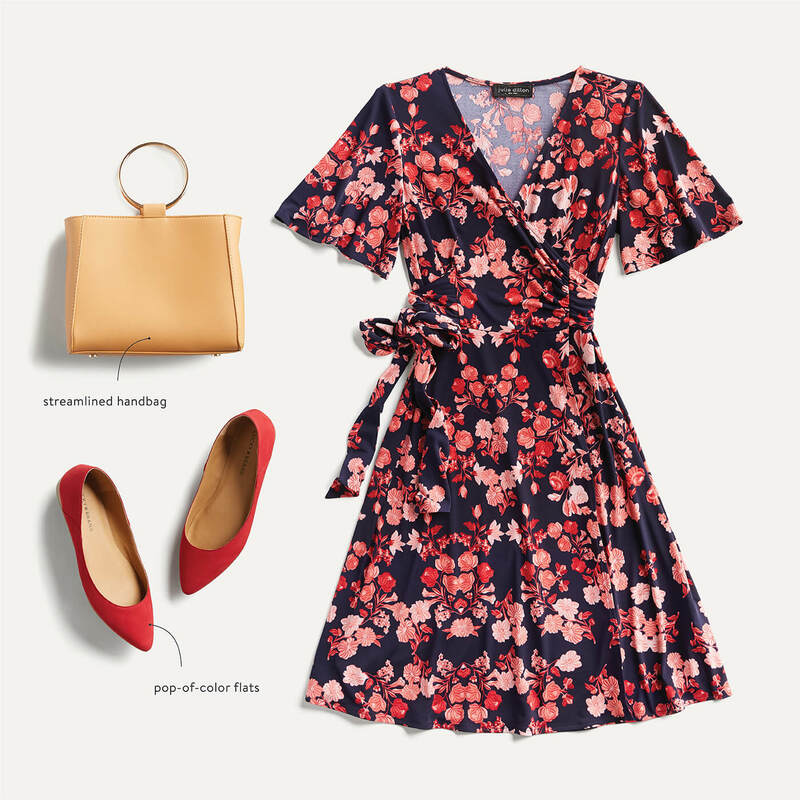 For running around town, we’re all about this summer’s most approachable and universally flattering dress—the midi dress. Wear it on weekends while you’re perusing your favorite farmer’s market or antique fair. And—surprise, surprise—they even translate to work! Pair them with an oversized tote (for all of your essentials), a blazer and a pair of low heels to take you the extra mile. If vacation is right around the corner, look no further! These graphic, retro-inspired prints in cool jersey knits are the only way to beat the heat. We can see these at the beach, a lake or somewhere hot, hot, hot. Don’t forget your sun hat and fabulous fringe bag! Flirty and flattering, a wrap dress (or two!) is a definite must in any dress collection. We love this especially summer-y version, with its bold, colorful print and pretty sleeves. The trick to keeping this look elegant is sleek accessories like a streamlined bag and pop-of-color flats. There you have it—a pretty summer dress for every occasion. 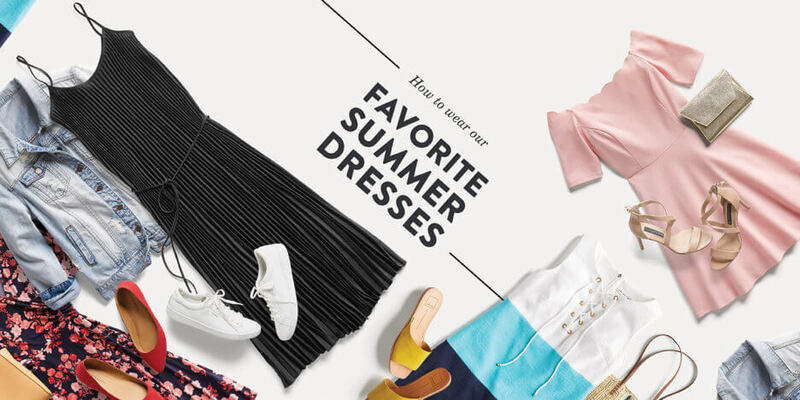 Be sure to ask your Stylist for some fantastically fun and flirty dresses in your next Fix, and be totally set for summer. Which dress are you planning on wearing this summer? Tell us in the comments & don’t forget to schedule a Fix to get your new favorite dress.